Where to find video drivers for monitors? The operating system or OS should have monitor drivers that are not only compatible with the overall system, but are also reliable. They must be the default option for operations and usually made using the PnP protocols. When you purchase an OS, they will include the appropriate drivers, but these need to be updated. It is recommended that the process of updating is done automatically, although you still retain the option of doing things manually if you are that way inclined. 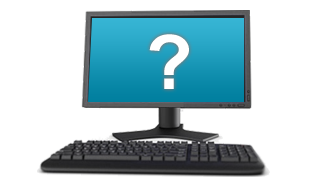 Sometimes a monitor will require special drivers in order to undertake certain specific functions that are out of the norm. Generally speaking the problems that arise with the video are not associated with the monitor, but rather linked to the drivers for that video or card. Do not mix the two when you are undertaking a diagnosis. Typically the diskette that contains the driver or the CD will include a number of features, which inform you whether it is appropriate for the monitor that you have selected. First of all, you need to watch out for certain features such as an USB monitor. On the other hand, it is possible that the monitor may not be compatible with the Windows drivers. The software will enable you to make certain adjustments in order to improve the functionality of the monitor. Nevertheless, if you are going to use advanced features, then you will need special drivers that address those needs. Keep a record of the manufacturer as well as the model number just in case you have to look for further information on Google or any other search engine. The Microsoft Windows OS has the means to do a search for the most appropriate video drivers. In fact, this is what is recommended on the basis that it does not expose you to the risk of malware or adware. All you have to do is to allow the software to automatically seek out the latest updates and fill up any gaps that you have on your system. The system will detect a new monitor the first time that you connect it. It will also list the previous monitor. This information is best identified using the device manager. Make sure that you remove the previous monitor from the list in order to avoid the challenges of overlaps. UNIX and Linux have developed a number of variants which are meant to cater for specific needs within the client base. That means that you have to do a bit more searching in order to land on the correct model and manufacturer. In some cases, you could be called upon to enter the vertical and horizontal refresh rates. You only have to look at the manual in order to find the information. Finally, there is the possibility of visiting a curation website that will have a number of drivers. Some of them relate to the monitors while others are linked to other peripherals and hardware. The issue there is that you have to have the right model number and distinguish amongst drivers that are very similar to one another.